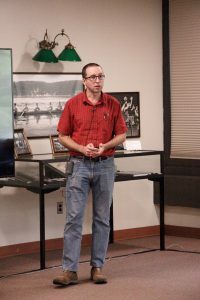 On October 16, Dr. Thomas Allison, from the Department of Chemistry and Department of Physics, passionately presented his lab’s innovative research on frequency comb lasers, nonlinear optics, and the ultrafast dynamics of molecules and materials. Details can be found at http://allisongroup.physics.sunysb.edu/?page_id=7. 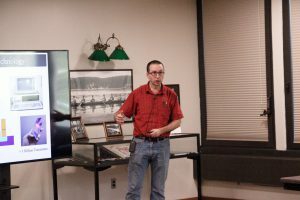 Dr. Allison also highlighted how coherent short pulses of light can capture the ground state interactions of atoms. 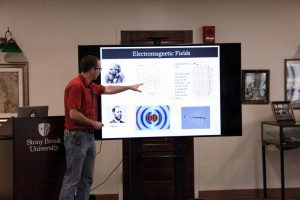 The lecture not only drew a full house of audience but also engaged the audience with a rich discussion about controlling light waves and electromagnetic fields, which help push the frontier of what scientists can measure to the next level.